A Your fixture should be no wider than 12 inches less than the width of the table. The bottom of the chandelier should be no lower then 30" above the tabletop. This height is for an 8 foot ceiling. Raise the fixture 3 inches higher for each additional foot of ceiling height. To determine the proper fixture width for a foyer add the length and width dimensions in feet of the area together. This number is the proper width in inches for the fixture you will need. Q Does the 28"H include the chain length or is that from the bottom of the chandelier to the chain? A The Quorum Salento 6 Light Chandelier 6006-6-70 height does not include the chain as the chain is adjustable. 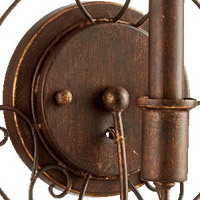 It will include the entire fixture from the bottom finial to the to the loop that the chain starts at. 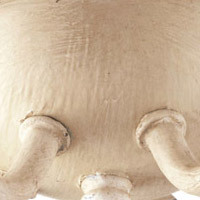 Q Do you have this chandelier available in the French umber finish? A Yes, the Quorum Salento 6 Light Chandelier 6006-6-70 is available in the French Umber finish, the 6006-6-94. Please call one of our lighting experts at 866-344-3875 option 1 to order. Q I need assembly instructions for this light fixture. A The Quorum Salento Chandelier 6006-6-70 assembly instructions have been added. Q Please advise which company produce the light? in USA or China? 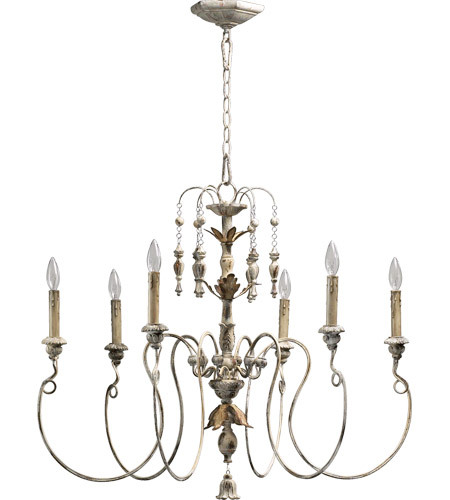 A The Quorum Salento Chandelier 6006-6-70 is made in China and ships from the US Warehouse.